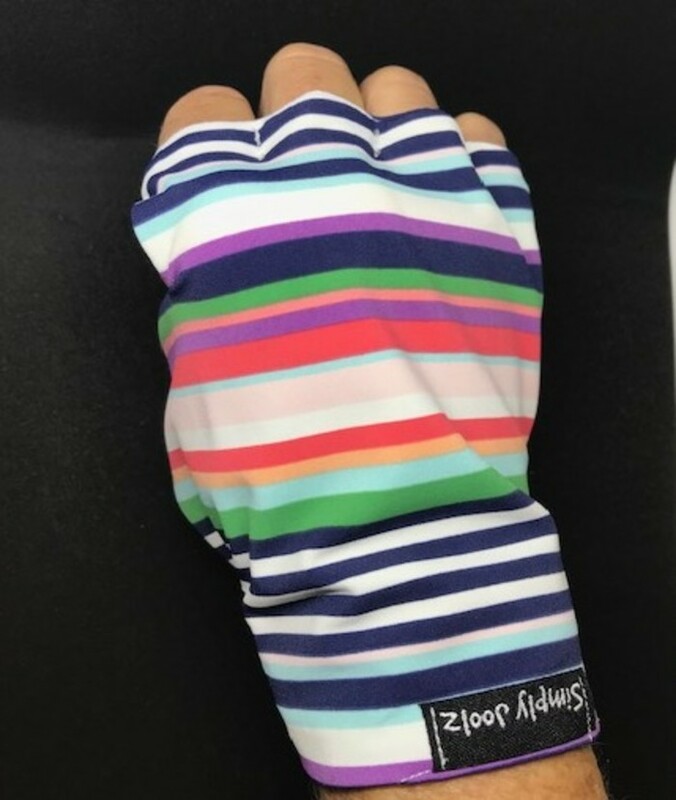 Our Simply Joolz sun glove is fingerless and palmless to allow you freedom to grip, feel or touch (including your phone) while protecting the back of your hand from the sun’s harmful rays. 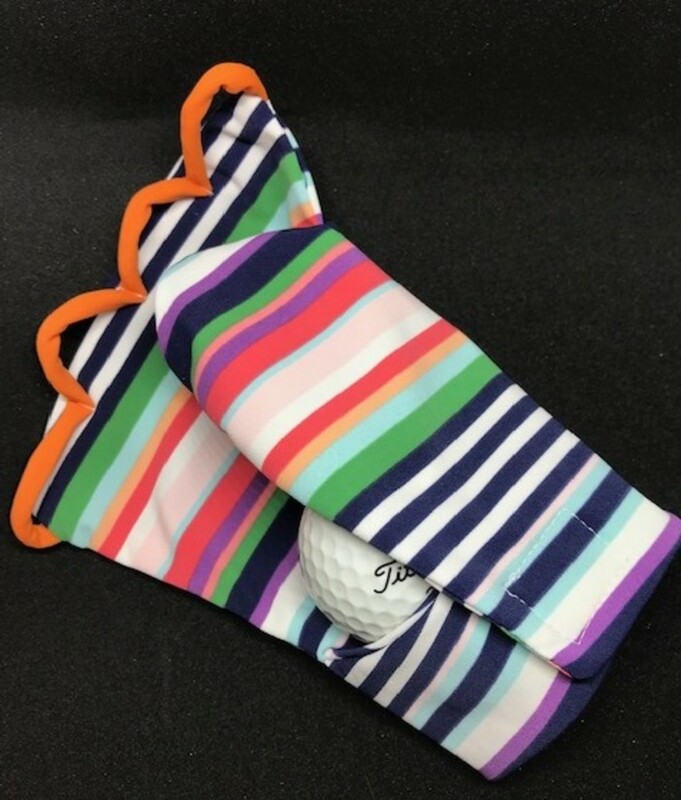 Ideal for protecting your right hand while playing golf. 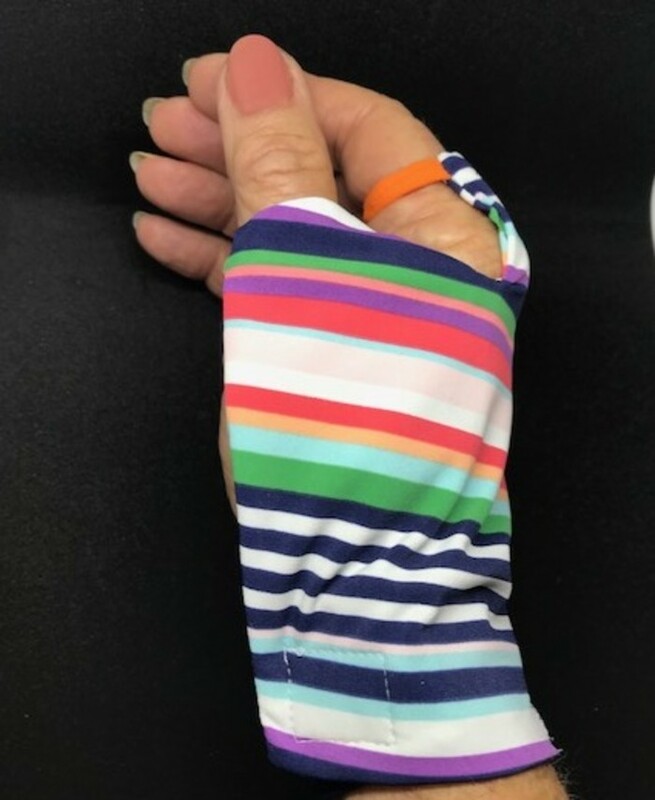 Made from lycra it is machine washable, and features comfortable stretch elastic that loops through your fingers. It's fastened via adjustable velcroix. Lycra has high UV protection qualities. 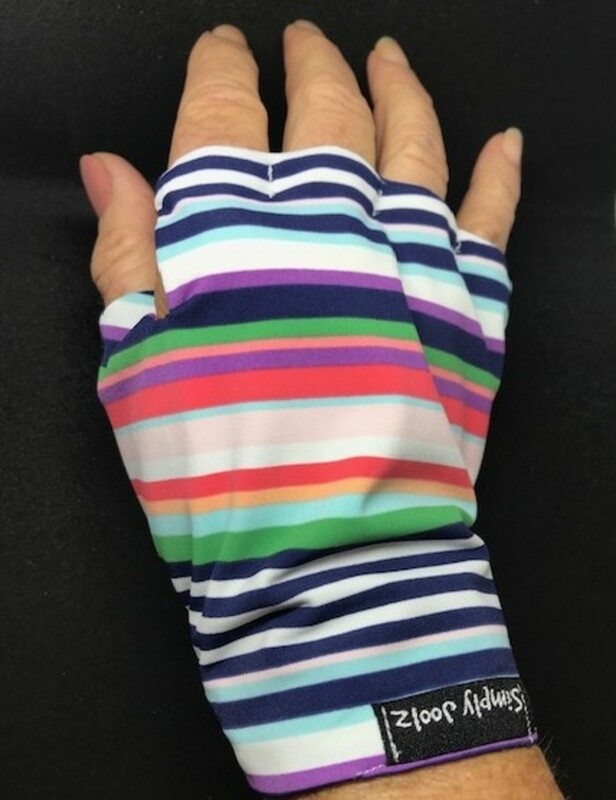 My colourful, sungloves are handmade and usually one-offs. They are easy to match with your hat, shoes, shirt or skirt. PS Can't find a colour you like? 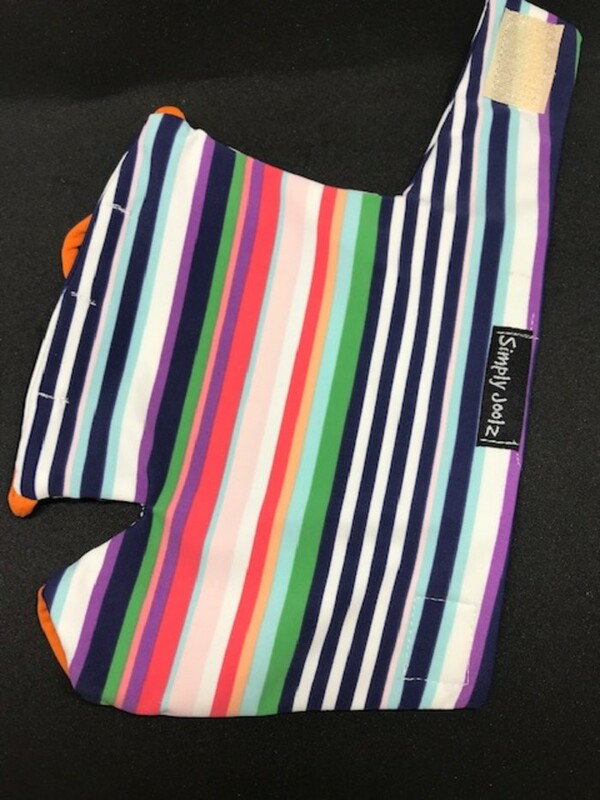 Simply email me with two primary colours and I can make one for you! Or, if you'd like a pair let me know.